Besides feeling ready to pull their hair out, parents of spirited children are often convinced that their spirited child would behave better if only Mom or Dad were smarter, wiser or more patient! In their new book on"difficult" children, child development experts Claudia and David Arp remind readers that there's no such thing as a Super Parent. 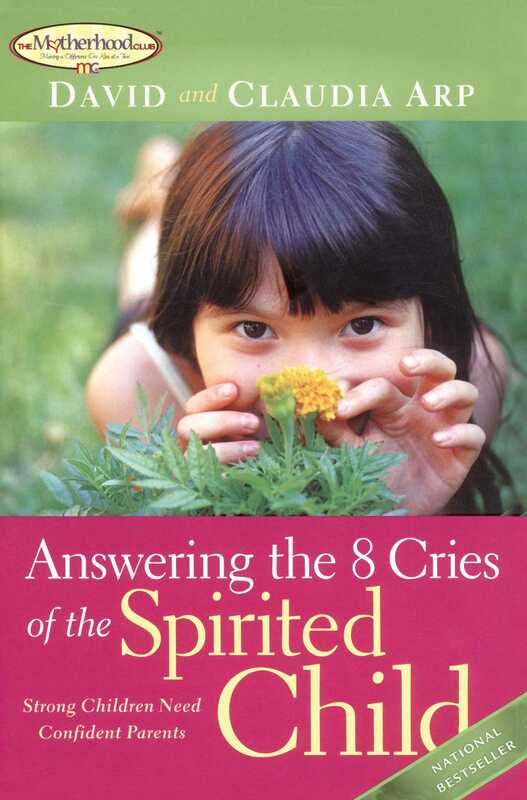 Having a spirited child can make parenting more intense and sometimes overwhelming, but you can begin to recognize the eight most common cries for help and what they really mean: "Look at me!" "Did I do good?" "You're not listening!" "Let me do it my way!" "You can't make me anymore!" "I hate you!" "I can do it myself!" and "I am a big kid already!" The Arps -- with humor, compassion, insights from Scripture, and the latest in research -- show you ways to develop win-win strategies for nurturing your not-so-compliant child. Help just arrived. Claudia and David Arp, MSW, cofounders of Marriage Alive, are educators, popular speakers, columnist, and award-winning authors of numerous books, including the 10 Great Dates series, The Second Half of Marriage, Answering the 8 Cries of a Spirited Child, and Loving Your Relatives. They have appeared as marriage experts on NBC Today, CBS This Morning, Focus on the Family, and PBS television stations. They have been married forty years and live in Knoxville, Tennessee.